We’re so close to the new flying season now and there are lots of things going on behind the scenes to make sure we are as ready as we can be! Here are just some of the preparations taking place. Every day we are booking passengers onto our scheduled flights over the phone and online. It’s usually best to book as early as possible in case of any flight cancellations. Every flight needs to be scheduled onto our database. We offer lots of flights at multiple sites across the South West during the flying season so there are lots of flights to schedule! With scheduling flights comes the pilot and crew! We have a dedicated team of pilots and crew that help retrieve the balloons and make sure your experience with us is one to cherish forever. One of the preparations is to make sure every flight has a pilot and a crew to go with it. All of our vehicles, trailers, balloons and baskets get extensively tested, serviced, checked and cleaned before the season begins. The winter period is a time for our balloons and vehicles to rest but before they head back out again, it’s vital we check they’re in good working order! At Aerosaurus Balloons, we take safety and quality very seriously, so it’s extremely important to us that everything is in good working order. As well as flying hundreds of passengers, the summer period is usually a great time to get out and say hello to people! We often attend multiple shows throughout the summer including the Bristol Balloon Fiesta. Before the season begins, we need to make sure we get booked in for all of these shows as well as registering our balloons to appear at the Bristol Balloon Fiesta! We must always make sure we have plenty of gas in order to fly our balloons. We have three main gas cylinders spread over multiple sites that allow us to keep flying throughout the season. These need to be tested, topped up and working ready for the new flying season. This year we have been busy finding new crew for the new season. We are constantly looking for new crew to help retrieve and collect our balloons as well as making our passengers flight with us a memorable one! The crew are vital to our operation because they are on hand for each of our passengers. If you are interested in joining us then please get in touch! 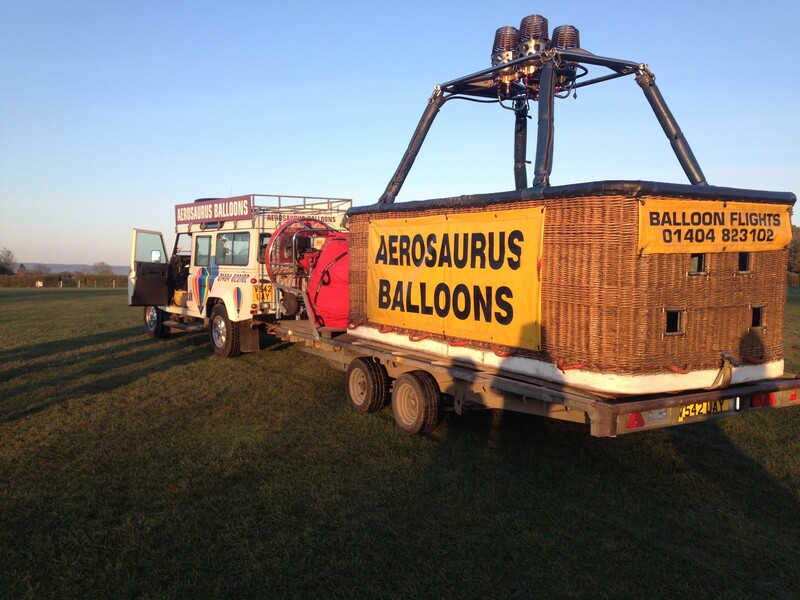 Join Aerosaurus Balloons for the new flying season and book your Champagne balloon flight voucher today! We offer flights from multiple sites across the South West starting from just £99 per person!